The community park at Wheatlands Parkway and South Jamestown Way is continuing to move forward. We submitted the plans to the city of Aurora planning committee last month and the city gave us feedback on the park design. We have submitted for second review this week and are waiting to hear back from them. The next step is to go through public works review. The city asked that we complete the planning step before submitting to public works which did set our timeframe back. Once we submit it to public works it is a 6-8 week process. 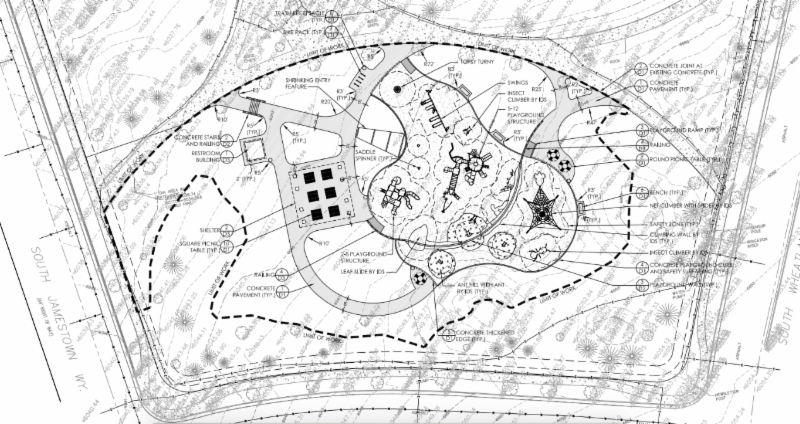 After we have received approval from public works we can start the bidding process for building the park. Since we had these delays, we are realistically looking at the park starting construction towards the beginning of the year. We can’t wait for the community to enjoy the park and appreciate your patience as we continue to move forward with the project.